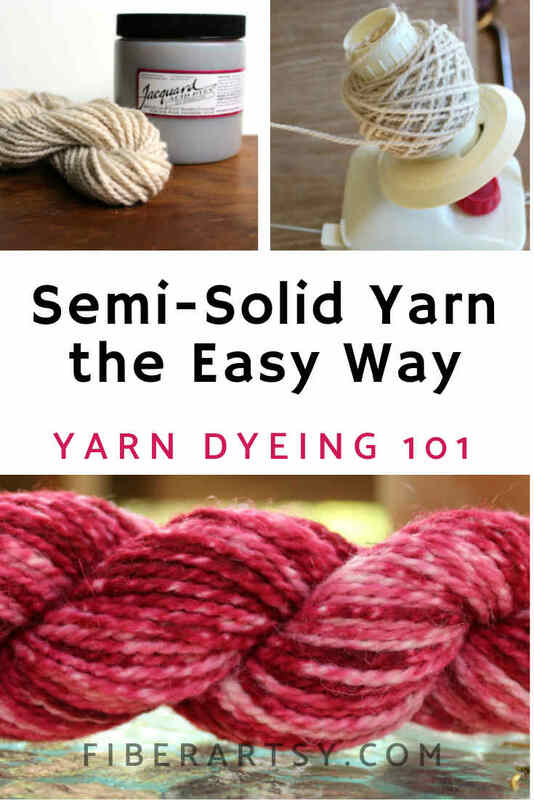 Learn how to Hand Dye Semi Solid Yarn with tone variations with this super simple wool yarn dyeing technique. 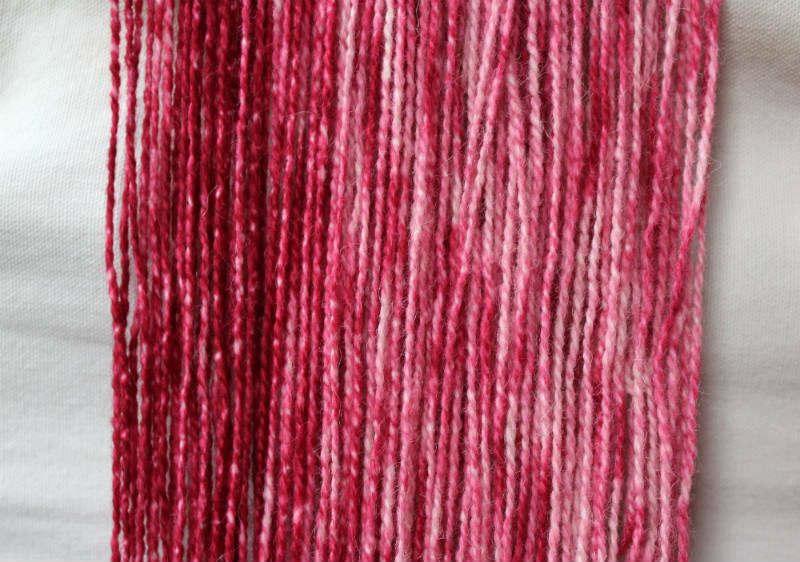 So, while researching and testing various methods of dyeing gradient or ombre yarn, instead of achieving a gradient yarn I figured out how to dye semi solid yarn. This technique does create an overall gradient effect but it is so subtle that I wouldn’t call it gradient. The technical term for this type of yarn would be ‘semi-solid’. And yes, I know that by definition ‘variegated’ yarn has more than one color but the many rich dark and light tones I achieved using just one color with this dyeing technique makes this yarn look variegated. 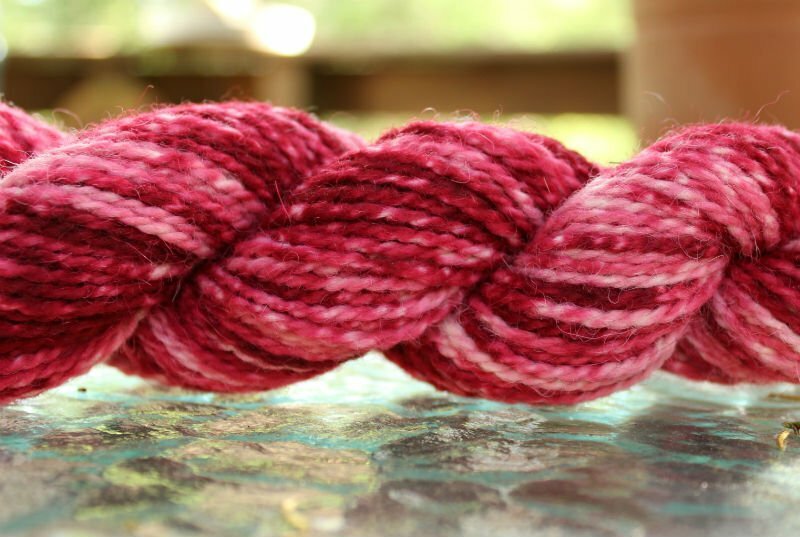 Can’t you just kettle dye the yarn with various strengths of the same color? Well, yes you absolutely can. However, that would be a lot more complicated, involving many more cups and measurements. 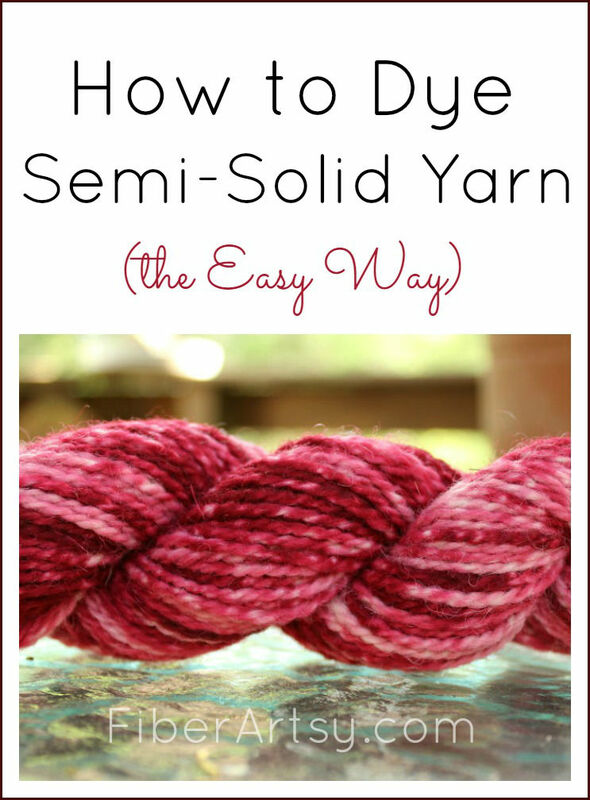 So, here’s my take on how to dye semi solid yarn. Note: To prevent your yarn from felting, make sure there are no drastic changes in water temperature and don’t move the yarn around too much while it’s in the water. 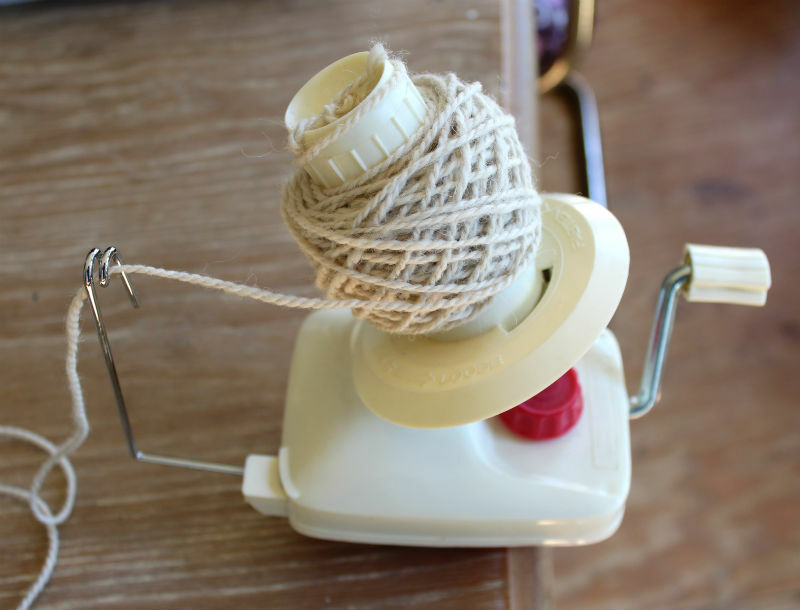 First thing you need to do is wind your wool yarn onto the ball winder. As you can see from the photo, I wound mine slightly more loosely than normal to make sure the dye penetrates the entire cake of yarn. 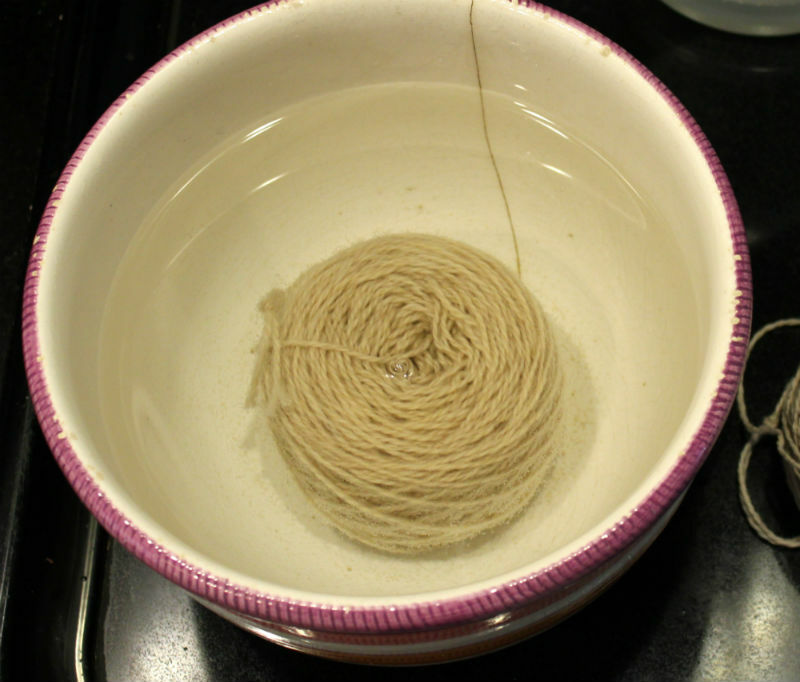 Fill your pot with enough hot water to cover your cake of yarn. Add about 1/4 cup of vinegar. Remove the yarn from the ball winder and tie the two ends together. It’s a good idea to mark the knot with a bobby pin or some scrap yarn but this is optional. Gently squeeze the sides together to somewhat close the gap in the center. 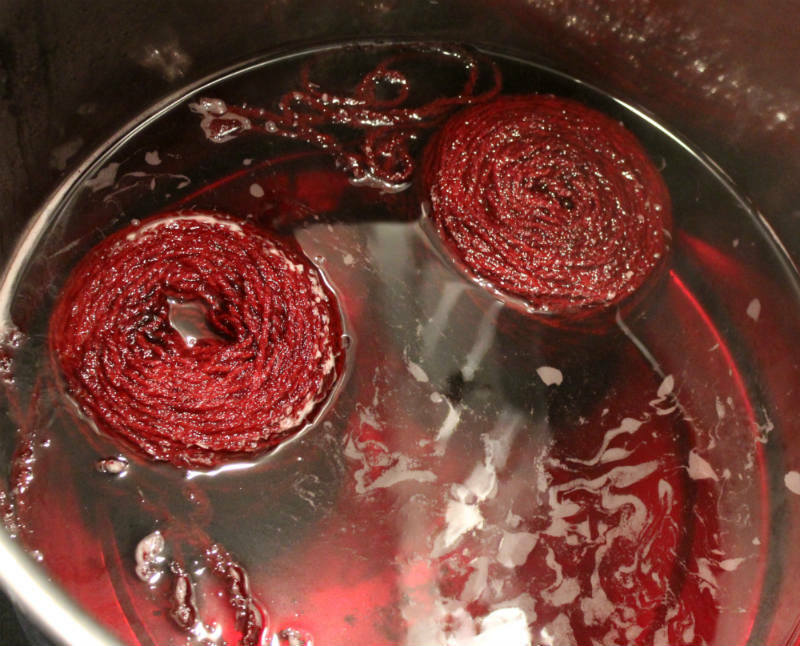 While the yarn is soaking, prepare your dye solution per instructions on the container. My general rule of thumb is 1 teaspoon of dye powder to 1 pint of water. This is powdered dye so use your dust mask, please! Gloves are optional … I don’t mind purple or turquoise fingers. Okay, your yarn has finished soaking, the dye solution is mixed up, now we’re ready to start dyeing the semi solid yarn. Carefully, remove the yarn from the water and gently squeeze out the excess. Set aside. Add a little of the dye solution to the water. This part is very subjective but keep in mind that you can always add more but you can’t take it back out. Now, place the yarn into the dye. Let it sit for a minute and turn it over. Set the pot on the stove and heat to a gently simmer (medium). If the color is too light, add more dye. The water will turn clear as the dye is absorbed. 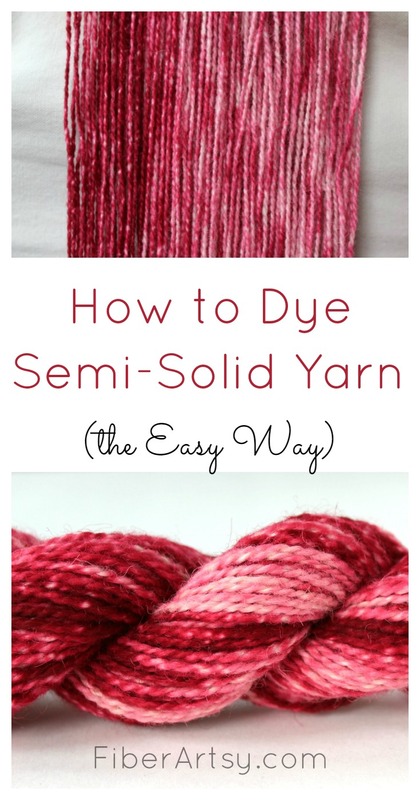 Flip the yarn over occasionally and add dye as needed. Simmer for a total of 30 minutes or until the water is clear. Turn off the heat and allow the yarn to cool. Once the yarn is cooled, gently rinse it in room temp water and hang to dry. The above photo does show some gradation but it really wasn’t distinct enough for me to call this gradient yarn. I do like the many different dark and light shades of this dyed yarn which should create interesting knit and crochet effects. Now that I know how to dye semi solid yarn, I will continue to explore the many different ways you can dye gradient or ombre yarn. Stay tuned … I’ll be sharing my results. 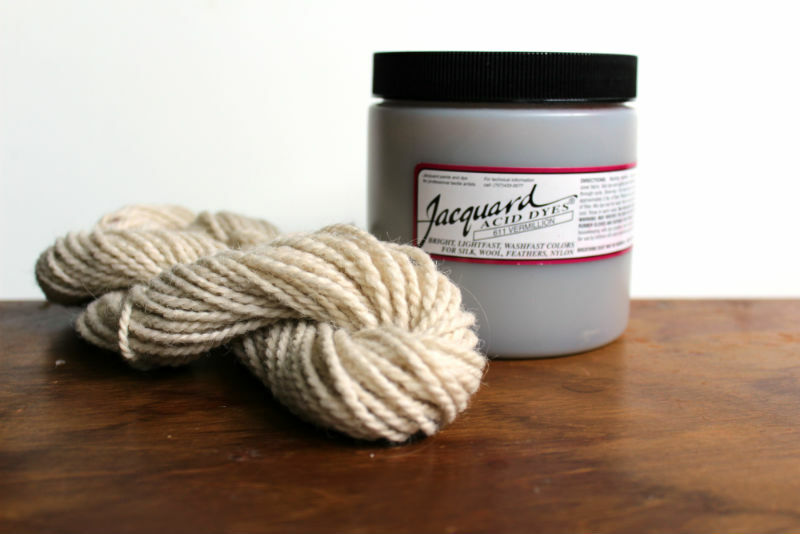 Here’s an good article on Dyeing Gradated or Gradient Yarn (which is similar to Semi Solid Yarn).